Blessed is the man who hath not walked in the counsel of the ungodly, nor stood in the way of sinners, nor sat in the chair of pestilence. But his will is in the law of the Lord, and on his law he shall meditate day and night. Now perhaps I have not reached the psalmist “day and night” standard – but I figure that meditating on the commandments with my class for 45 minutes three times a week for a whole semester is a good start. If a teacher has an excellent thing to teach, which happens to be very useful, and he also has an excellent order in which to teach it, why then, voila!, this teacher will achieve great success. In other words- these three things alone can transform any ho-hum teacher with mediocre communication abilities into a veritable paragon of teaching success! He will be admired by his students. He will be admired by his teaching colleagues. Man is a little universe. For this is your wisdom, and understanding in the sight of nations, that hearing all these precepts, they may say: Behold a wise and understanding people, a great nation. It is not too often that a teacher gets to teach a subject with such a recommendation. Sure, perhaps a teacher might occupy himself and his students with other things like differential calculus and balancing chemical equations, perhaps he might teach students how to categorize the various kinds of rocks and minerals and animals and plants and whatnot, but at best these things are meant to lead a student to wisdom. One would not assert that these things constitute wisdom all by themselves. But to know the law of the Lord- that is quite a different matter. That appears to be wisdom itself… at least according to Moses. …reacheth therefore from end to end mightily, and ordereth all things sweetly. Her have I loved, and have sought her out from my youth, and have desired to take her for my spouse, and I became a lover of her beauty. Consequently, should the teacher simply choose to teach the commandments in the order in which God gave them to Moses, he will, ipso facto, have an extremely well-ordered course. And he shewed you his covenant, which he commanded you to do, and the ten words that he wrote in two tables of stone. And of course we all know the reason for this, right? Why of course, one tablet, the first, contains the commandments which address our relation to God Himself, and the other contains the precepts concerning our relations with our neighbor. Now this consideration alone provides us with a rich soil for meditation. But what about the order of the commandments on each tablet? What about the order of the first three commandments for instance? 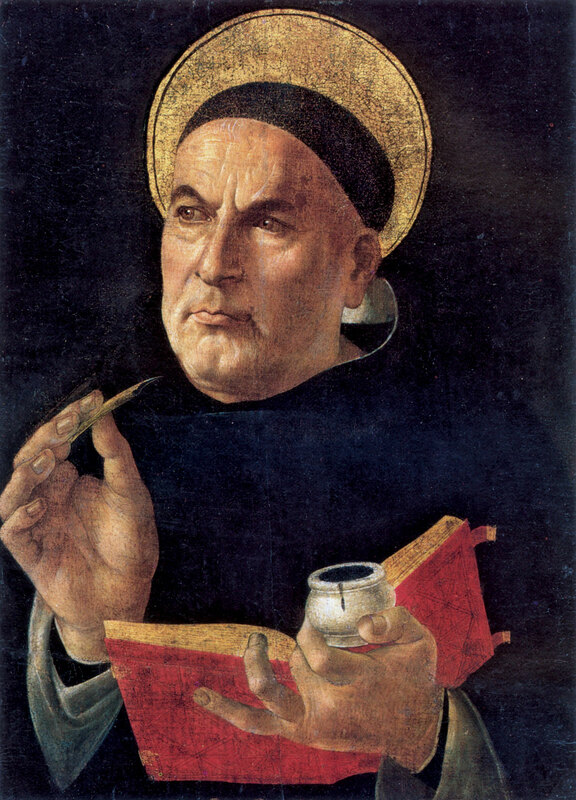 St. Thomas, teaches that there is an order. 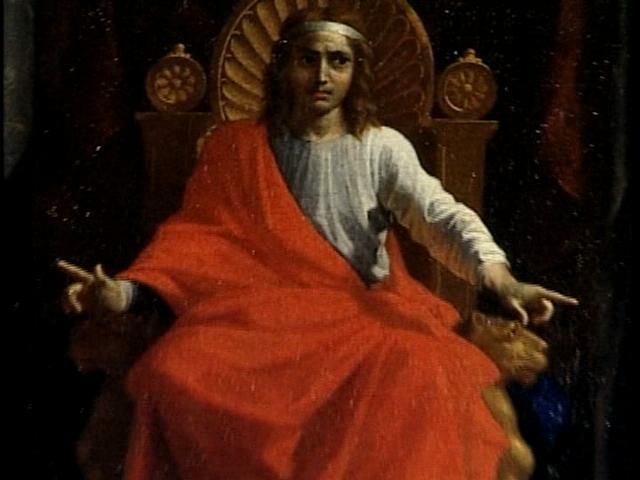 For we are first commanded to adore God in our hearts, and the Commandment is to worship one God: “You shall not have strange gods before Me.” In the Second Commandment we are told to reverence God by word: “You shall not take the name of the Lord your God in vain.” The Third commands us to reverence God by act. It is: “Remember that you keep holy the Sabbath day”. God wished that a certain day be set aside on which men direct their minds to the service of the Lord. I just love that order! And this is just the beginning. This is just the tip of the iceberg. 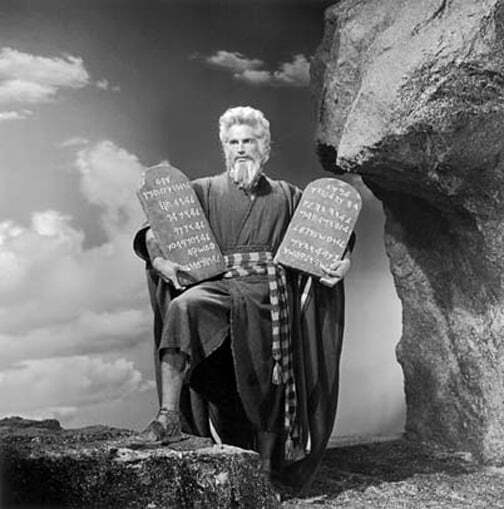 One already wonders, “Is there a similar order among the commandments on the second tablet?” Aren’t you dying to know? As far as the usefulness of the ten commandments, I should think that this point is pretty clear. Does anyone want the secret to happiness? ……teacheth the knowledge of God, and is the chooser of his works. And if riches be desired in life, what is richer than wisdom, which maketh all things? 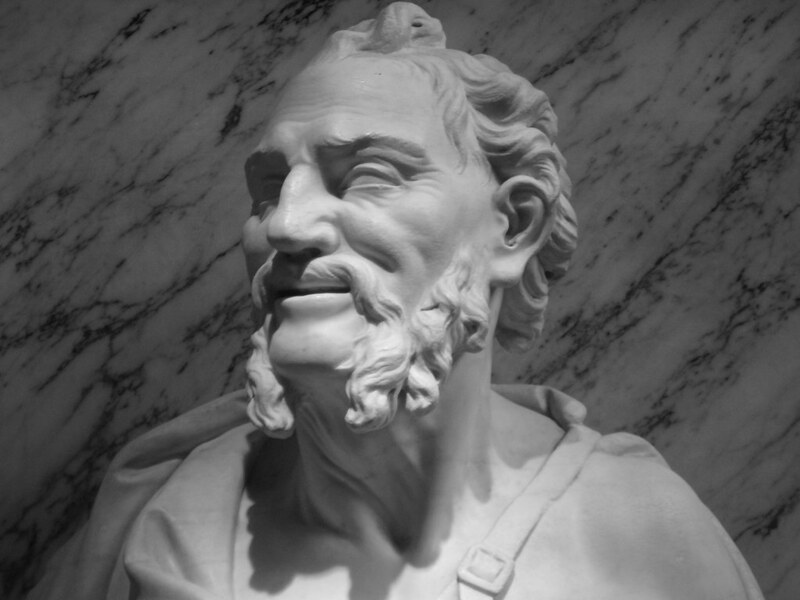 This entry was posted in Decalogue, Heraclitus, Wisdom and tagged Aquinas, Deuteronomy, Heraclitus, Moses, Solomon. Bookmark the permalink. “opusculum” pro “opuscula”, ni fallor.